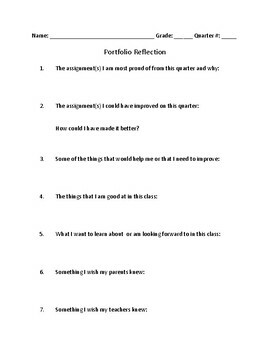 I have created a form my students use to reflect on their portfolio of work. I have used this at the end of a unit and to prepare for conferences. The form can be printed or can be completed online.